Notes: Vol 42, No 6. Cover illustration untitled but was used for PR #258. The Circulation Statement on p.47, filed 10/01/1968, gives an average total paid circulation of 38,551. Blish signs one book review with his name but uses his pseudonym for the other. 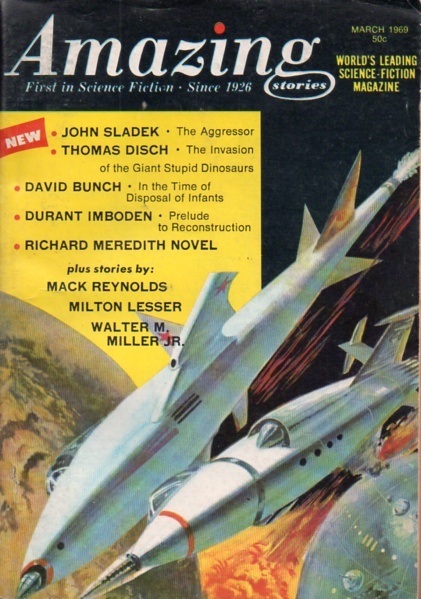 118 • Death of a Spaceman • (1954) • short story by Walter M. Miller, Jr.